Given that rubyrailways.com is my first attempt at blogging, I am studying Ruby for just a few months now (I even started this blog earlier than I wrote my first Ruby script), I have really little time for blogging and that I am not a native speaker, these figures are not that bad I guess . Of course I would like to improve them even more, so please leave a comment with suggestions on this – what would you like to see here in 2007? Google Trends: Googlefight v2.0 and much more! Every second blog I came across recently has an entry about google trends, so I am adding my small findings too! After playing with it for a few hours, I have to say that writing a relevant query is not always as easy as it seems. People are posting Java vs Python vs Ruby comparisons, but they are not always aware that the graph contains (among other things) the comparison of an island, a comedy troupe (Monty Python) and a character set (Ruby Characters), for example. According to wikipedia, all three terms have more than ten possible meanings, and although a tech nerd may know only one for each of them, not all pages out there are (fortunately) written by tech guys. It is interesting that there is no data available for “David Heinemeier Hansson” or even “David Hansson”, just for DHH. 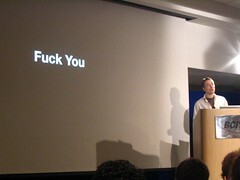 For the idea of the following googleTrendFight thanks for Laszlo on Rails blog. It’s really thrilling to see that a (once) small open source community can compete with enterprise stuff of such magnitude as JBoss/EJB (ok, this is kind of apples-to-oranges, but nevertheless interesting). If you wonder why did JBoss’ search volume go dramatically up – it’s because RedHat bought the company. I wonder whether google will improve the quality of this search and/or add possibility to specify advanced queries to prevent mixing in of irrelevant results – at the moment, if I did try to narrow the search, in lot of cases i got back ‘data not available’… Interesting toy, though. I am in the process of redesigning rubyrailways.com, so you can see every kind of weird experiments sometimes (I am too lazy to do the whole thing offline, because that would mean to set up Apache, PHP, WordPress, MySQL … etc, and the other reason is: I have too limited time to do it quick). (no images and JS needed, but has severe cross-browser restrictions – if you are reading this from IE (or probably anything other than Firefox) you know what i mean).